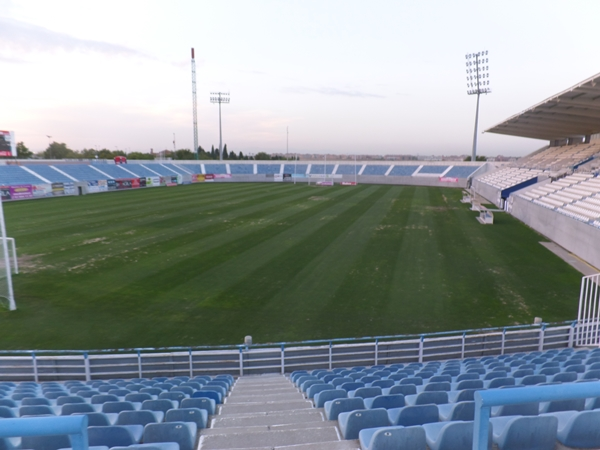 Match ends, Leganés 1, Sevilla 1. Second Half ends, Leganés 1, Sevilla 1. Steven N'Zonzi (Sevilla) wins a free kick in the defensive half. Foul by Gabriel Pires (Leganés). Attempt missed. Gabriel Mercado (Sevilla) header from the centre of the box is close, but misses to the right. Assisted by Éver Banega following a set piece situation. Nolito (Sevilla) wins a free kick in the attacking half. Attempt missed. Franco Vázquez (Sevilla) left footed shot from outside the box is just a bit too high. Assisted by Joaquín Correa. Omar Ramos (Leganés) is shown the yellow card for a bad foul. Nolito (Sevilla) wins a free kick in the defensive half. Foul by Omar Ramos (Leganés). Foul by Steven N'Zonzi (Sevilla). Diego Rico (Leganés) wins a free kick in the defensive half. Pablo Sarabia (Sevilla) is shown the yellow card for a bad foul. Foul by Pablo Sarabia (Sevilla). Diego Rico (Leganés) wins a free kick on the left wing. Raúl García (Leganés) wins a free kick in the defensive half. Gabriel Mercado (Sevilla) wins a free kick in the attacking half. Foul by Claudio Beauvue (Leganés). Substitution, Leganés. Diego Rico replaces Nabil El Zhar. Attempt missed. Omar Ramos (Leganés) left footed shot from outside the box misses to the left following a set piece situation. Hand ball by Nolito (Sevilla). Hand ball by Sergio Escudero (Sevilla). Unai Bustinza (Leganés) wins a free kick in the defensive half. Foul by Joaquín Correa (Sevilla). Gabriel Pires (Leganés) wins a free kick on the left wing. Foul by Franco Vázquez (Sevilla). Substitution, Sevilla. Nolito replaces Luis Muriel. Substitution, Leganés. Omar Ramos replaces Nordin Amrabat. Offside, Leganés. Unai Bustinza tries a through ball, but Tito is caught offside. Attempt missed. 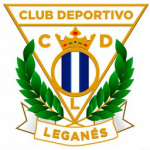 Unai Bustinza (Leganés) header from the centre of the box misses to the left. Assisted by Javier Eraso with a cross following a corner. Corner, Leganés. Conceded by Steven N'Zonzi. Clément Lenglet (Sevilla) is shown the yellow card for a bad foul. Foul by Clément Lenglet (Sevilla). Claudio Beauvue (Leganés) wins a free kick in the attacking half. Attempt missed. Luis Muriel (Sevilla) right footed shot from the right side of the box is close, but misses to the right. Assisted by Jesús Navas. Attempt blocked. Joaquín Correa (Sevilla) right footed shot from the left side of the box is blocked. Assisted by Pablo Sarabia. Éver Banega (Sevilla) wins a free kick in the attacking half. Foul by Javier Eraso (Leganés). Franco Vázquez (Sevilla) wins a free kick on the left wing. Foul by Gerard Gumbau (Leganés). Franco Vázquez (Sevilla) is shown the yellow card. Tito (Leganés) wins a free kick in the defensive half. Corner, Sevilla. Conceded by Dimitrios Siovas. Attempt blocked. Pablo Sarabia (Sevilla) right footed shot from outside the box is blocked. Corner, Sevilla. Conceded by Gerard Gumbau. Attempt missed. Joaquín Correa (Sevilla) right footed shot from outside the box is close, but misses to the left. Assisted by Éver Banega. Gabriel Pires (Leganés) wins a free kick in the defensive half. Javier Eraso (Leganés) wins a free kick on the right wing. Foul by Sergio Escudero (Sevilla). Goal! Leganés 1, Sevilla 1. Dimitrios Siovas (Leganés) header from very close range to the top right corner following a corner. Attempt missed. Clément Lenglet (Sevilla) header from the right side of the six yard box is too high. Assisted by Éver Banega with a cross following a corner. Corner, Sevilla. Conceded by Nereo Champagne. Corner, Leganés. Conceded by Jesús Navas. Attempt missed. Éver Banega (Sevilla) right footed shot from outside the box misses to the left. Hand ball by Unai Bustinza (Leganés). Sergio Escudero (Sevilla) is shown the yellow card for a bad foul. Nabil El Zhar (Leganés) wins a free kick on the right wing. Substitution, Leganés. Javier Eraso replaces Darko Brasanac. Second Half begins Leganés 0, Sevilla 1. First Half ends, Leganés 0, Sevilla 1. Franco Vázquez (Sevilla) wins a free kick in the defensive half. Foul by Darko Brasanac (Leganés). Attempt saved. Gabriel Mercado (Sevilla) left footed shot from the left side of the six yard box is saved in the centre of the goal. Attempt saved. Clément Lenglet (Sevilla) left footed shot from the centre of the box is saved in the top left corner. Attempt blocked. Franco Vázquez (Sevilla) right footed shot from outside the box is blocked. Corner, Sevilla. Conceded by Darko Brasanac. Attempt blocked. Joaquín Correa (Sevilla) right footed shot from outside the box is blocked. Assisted by Steven N'Zonzi. Offside, Leganés. Raúl García tries a through ball, but Nordin Amrabat is caught offside. Claudio Beauvue (Leganés) wins a free kick on the left wing. Attempt missed. Éver Banega (Sevilla) right footed shot from more than 35 yards is high and wide to the right. Assisted by Steven N'Zonzi. Corner, Sevilla. Conceded by Raúl García. Hand ball by Darko Brasanac (Leganés). Attempt missed. Claudio Beauvue (Leganés) right footed shot from the centre of the box is just a bit too high. Assisted by Gabriel Pires. Offside, Sevilla. Sergio Escudero tries a through ball, but Joaquín Correa is caught offside. Attempt blocked. Nordin Amrabat (Leganés) right footed shot from outside the box is blocked. Darko Brasanac (Leganés) is shown the yellow card for a bad foul. Franco Vázquez (Sevilla) wins a free kick in the attacking half. Goal! Leganés 0, Sevilla 1. Luis Muriel (Sevilla) right footed shot from the right side of the box to the bottom left corner. Assisted by Pablo Sarabia. Attempt missed. Nabil El Zhar (Leganés) right footed shot from the right side of the box is too high. Assisted by Claudio Beauvue. Attempt blocked. Luis Muriel (Sevilla) right footed shot from the left side of the six yard box is blocked. Assisted by Joaquín Correa. Attempt blocked. Claudio Beauvue (Leganés) right footed shot from the right side of the box is blocked. Assisted by Nabil El Zhar. Éver Banega (Sevilla) wins a free kick in the defensive half. Attempt missed. Éver Banega (Sevilla) right footed shot from the right side of the box is close, but misses to the left. Assisted by Pablo Sarabia following a fast break. Attempt blocked. Nabil El Zhar (Leganés) right footed shot from outside the box is blocked. Assisted by Gabriel Pires. Attempt saved. Claudio Beauvue (Leganés) left footed shot from outside the box is saved in the centre of the goal. Assisted by Gerard Gumbau. Raúl García (Leganés) wins a free kick on the left wing. Dangerous play by Franco Vázquez (Sevilla). Attempt blocked. 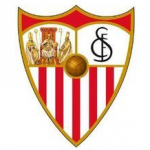 Steven N'Zonzi (Sevilla) header from very close range is blocked. Assisted by Éver Banega with a cross. Nabil El Zhar (Leganés) wins a free kick in the defensive half.